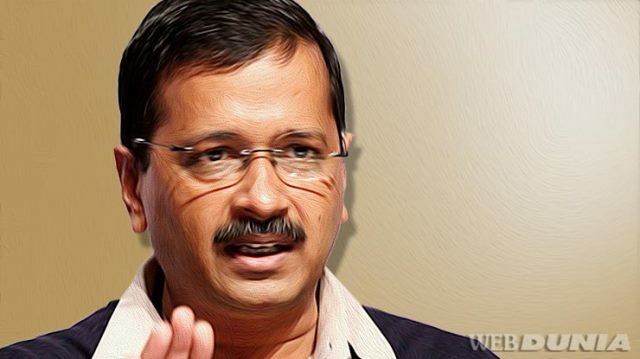 New Delhi: With an aim to provide Government services at the door step of citizens in the National Capital, Chief Minister Arvind Kejriwal on Monday launched "Home delivery" of 40 services, including registration of marriage. The Chief Minister launched "Home delivery of 40 Government Services" here at Delhi Secretariat in presence of Deputy Chief Minister Manish Sisodia and other Cabinet Ministers. Speaking on the occasion, Mr Kejriwal pointed out,"This is a revolutionary step. To avail doorstep delivery you can call at 1076. In case the line is busy, the company will you. Till 10PM (2200 hrs), the services will be available. An amount of Rs 50 would be charged as fee. "The 40 services are under the department of Revenue, Social Welfare, Transport, Delhi Jal Board (DJB), Food and Civil Supplies, Labour and Department for the welfare of SC/ST/OBC/Minorities. The services available at the doorstep of the citizens under the Revenue department includes registration of Marriage , issuance of caste certificate (SC/ST/OBC), domicile certificate, income certificate, delayed birth/death order, Land status report, Lal Dura Certificate, and permanent ID card to disabled person. In Social Welfare Department, the doorstep services are Delhi Family benefit scheme,Handicap pension scheme and grievance of old age pension scheme. Under Transport Department, services like duplicate RC certificate, change of address in RC, transfer of ownership, permanent driving licence, renewal of driving licence and change of address have been included. New water/sewer connection and disconnection are available at doorstep under Delhi Jal Borad while in Food and Civil Supplies Department citizens the facilities includes issuance of priority household card, updation of member details in the AAY/ priority household card. Under Labour Department one can get approval of installation of passenger lift, lift shaft and machine room, and Delhi Shops and Establishment Act, 1954.